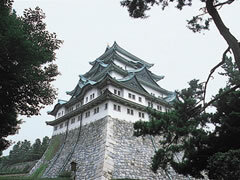 Nagoya was established in the Edo period and has a long history and its own original culture. It is full of individuality when it comes to fashion, food and lifestyle, that you don't see in other regions. Recently, it has been called the most cheerful city in Japan. Nagoya is full of stimulation that will help you to grow as a person. 5 mins walk from exit 8 (Sunshine Sakae) of Sakae Station on the Meijo or Higashiyama subway lines. 5 mins walk from exit 6 of Yabacho Station on the Meijo subway line. This complex has a shopping centre underground and a grassy square called "The Green Land" aboveground. The large glass roof floating in the air is the symbol of Oasis 21 and is called, "The Spaceship of Water". Many events are held all year round and we also recommend this place for dates! This is a popular fashion building; the leader of the cultural scene in Nagoya. It is split into the East, West and South buildings, all containing a variety of fashion and accessories stores, restaurants, and cafes! Nagoya is famous for "misokatsu". For the best misokatsu, visit Yabaton! Established 61years ago, it is so popular that people form lines to get in, with the customers coming from all over Japan and around the world! The meat is carefully selected Japanese pork, perfectly matched with a secret miso sauce! You will love it. Loft is located right in front of the school, and sells a wide variety of interior goods, including fashionable lifestyle accessories and other household goods. This landmark of the Sakae area of Nagoya also stocks design materials, variety products, and a CD store. These are popular shopping arcades, which are always full of people. These people - old, young, male, female, and of a variety of nationalities and races - come from all over to shop here.